Access to the festival on 4-6 July 2019. Group offer - Get 6 tickets for the price of 5! This ticket allows general access to Rock for People on 4-6 July 2019. Access to the festival (no camping). Your name WILL be shown on this ticket. Please note that all travellers need to be present when presenting the ticket at the festival entrance to ensure admission for everyone in the group. Group offer - Get 13 tickets for the price of 10! 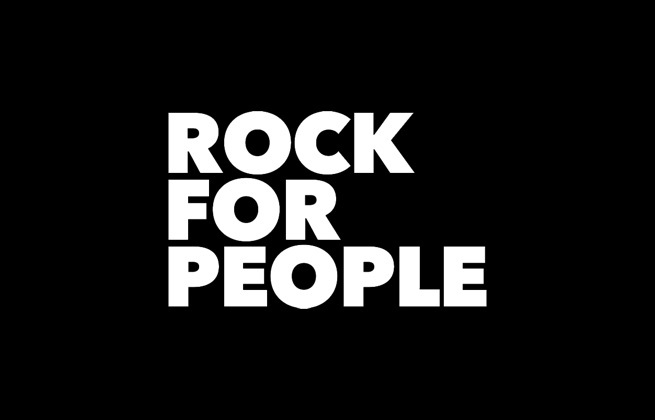 This ticket allows general access to Rock for People on 4-6 July 2019. Access to the festival (no camping). Your name WILL be shown on this ticket. Please note that all travellers need to be present when presenting the ticket at the festival entrance to ensure admission for everyone in the group. This ticket allows access to the festival on Thursday 4th July. This ticket allows access to the festival on Friday 5th July. This ticket allows access to the festival on Saturday 6th July. The Camp Plus is equipped with mobile toilets, flushable toilets, showers (for 10 CZK), wi-fi, non-stop reception with basic food shop, energy points with chargers, lockers and safes (with or without socket), sitting point under the roof + chill zone, bar, catering and direct entrance to the festival area. The 3-star Hotel Černigov is conveniently located near both railway and bus station in Hradec Králové, and offers 222 comfortable guest rooms that are warmly decoratd and furnished with a variety of amenities. The hotel also features its own restaurant, the Secese Restaurant, that seats 220 and has an à la carte menu of traditional Czech and international cuisine. The inviting hotel Café bar serves a wide selection of drinks and home-made sweets. Other hotel amenities include: on-site parking (150 CZK/day), 24-hour front desk services, laundry services, a souvenir shop, concierge services and a sauna. 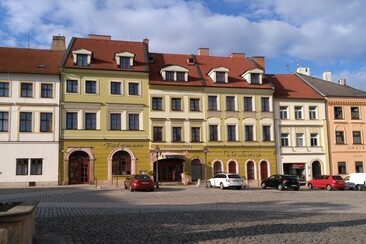 Hotel Černigov is within walking distance of the histornic centre of Hradec Králové, and the Holy Spirit Cathedral, East Bohemian Museum, and the White Tower are nearby. This four-star hotel is housed in a historic building in the centre of Hradec Králové belongs to a complex of townhouses dating back to the 14th century. 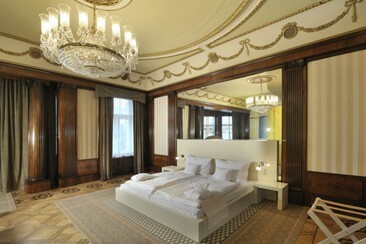 All rooms have free internet access. Guests have free access to the wellness facilities with an indoor swimming pool and a sauna. The original structures like vaulted ceilings are still visible and the unique combination of historical and modern elements such as a glass-covered inner atrium with a winter garden creates an unusual and comfortable atmosphere. The stylish restaurant provides Czech and international cuisine. There is also a wine cellar available for private dinners and events. Hotel Nové Adalbertinum offers accommodation for up 70 persons in 4 single rooms, 24 double rooms and 6 three-bedded rooms with breakfast. Rooms are equipped with private shower, TV, telephone and WIFI. Breakfast is served from snack bar tables in the hotel restaurant. The reception is open 24 hours. A private car park is located a closed courtyard. Additional parking is located directly in front of the hotel and on the large square or in the parking house. On the Large Square near the hotel is renowned Klicpera Theater, bars, cafes, restaurant and dance clubs. City Hradec Králové offers visitors many sports such as tennis and squash centre, water park and a golf course. On the Large Square near the hotel is renowned Klicpera Theater, bars, cafes, restaurant and dance clubs. The boutique Hotel Okresní Dům is a fine example of Art Nouveau architecture in Hradec Králové, situated in a quiet area of the centre and offering parking in the courtyard. All 21 guest rooms are equipped with an ADSL internet connection (free of charge) and an LCD satellite TV with modern furniture that harmoniously blends in with the historic architecture of the building. Guests can enjoy Greek, Italian cuisine at Bistro Agora as well as delicious wines and much more. Parking for one vehicle on all three festival days. Parking for one motorcycle on all three festival days.